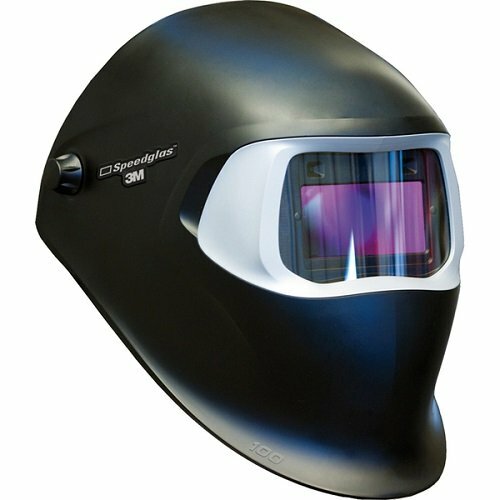 Every welder deserves protection to prevent eye damage on the job or in the garage. As its obviously expected, spending more time and cash on the helmet will increase comfort, improve your welding ability hence high quality welds and safety assurance. On the other hand, getting the helmet that you need can be very confusing, that’s if you’re not familiar with the latest auto-darkening lens technology and national safety standards. Having this information will help you sort through the clutter and know the most valuable things to consider before investing in this important piece of safety gear, while showcasing some of the industry’s top designs and trends. 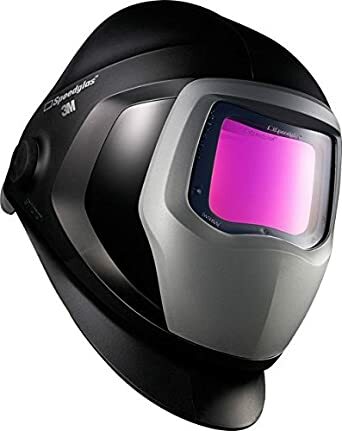 One of the first and most important things to consider when purchasing a welding helmet is to consider the type of lens whether it’s right for your use. Should it be standard or passive welding helmets they are just as common as they were 50 years ago. The viewing lens or filter is a very important piece of dark tinted glass most often with #10 shade and ultraviolet (UV) and infrared (IR) coatings. A quick nod or snap of the neck flips the helmet down before striking an arc should be considered when the welder is ready to begin welding .The welder should reach to pivot the helmet up and away from his face to view the workpiece and to reposition for the next weld after he is done. After lowering the helmet in place, especially for beginners, it’s very difficult to keep the gun or torch in the correct position to begin it. There isn’t enough room to flip a helmet up and down when welding in restricted spaces such as under cars or trailers. A neck discomfort after a day of welding might be caused due to the repetitive task of flipping up and down. Lastly, while doing a lot of tack welding the lifting and lowering a helmet is inefficient. Resolving all of these problems by auto darkening welding helmets. 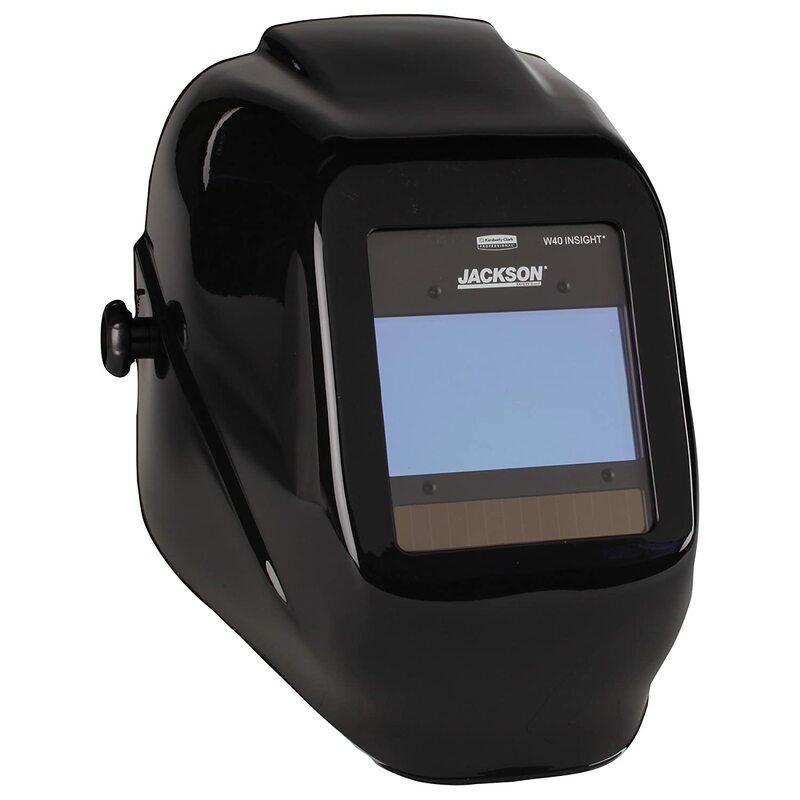 Helmets with auto darkening filters have an electronic filter lens and often are equipped with an adjustable features to make welding easy instead of a standard piece of tinted glass. The ADF or the auto-darkening filter lens is a special liquid crystal display (LCD) that’s the same in design to the technology used to display numbers on a digital alarm clock. Mostly a combination of battery and solar power is used to power the filter cartridges. In order to detect the welding arc several light sensors are mounted near the lens. An auto-darkening LCD filter usually has a #3 or #4 shade which is relatively easy to see through, similar to sunglasses when the lens is not activated. Since the welder can see the position of his MIG gun, TIG torch or stick electrode relative to the material he is welding the arc then automatically starts easier. Sensors on the helmet darken the lens to a shade #9 to #13 once an arc is initiated depending on your settings, this happens very fast within a very short period of time. Your eyes are protected from harmful rays regardless of the inactive shade setting because the filter has UV and IR coating applied. The most interesting part of the deal is that the helmet stays down before, during and after the job is done. 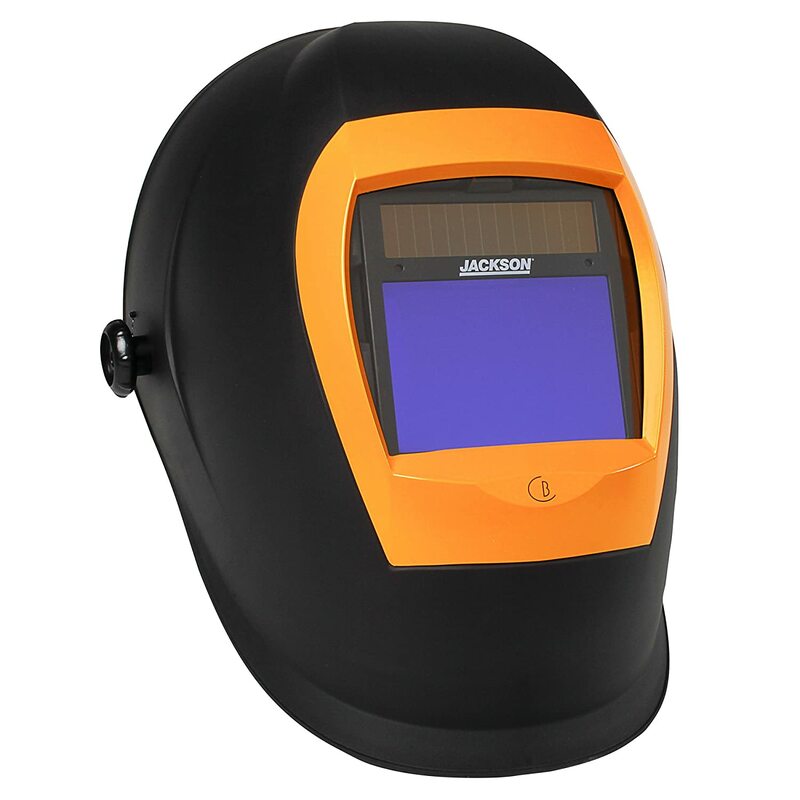 The auto-darkening welding helmet enables you to set up a welding joint with the hood in position. Forget about head snaps to lower the helmet and sloppy starts because the torch moved. In case most of your welding involves one type of material such as steel using the same welding process, of the same thickness, such as stick at the same amperage then a fixed shade #10 lens is all you’ll ever need. Nevertheless, different people weld different materials such as mild steel, stainless steel, aluminium and with different thicknesses that need the use of different welding processes like a stick, MIG and TIG for specific jobs. This simply means that the welding amperage can vary from 40 amps to more than 200 amps. It comes varying degrees of brightness in the arc with that variance. To get the best view of the weld puddle and properly protect your eyes you should have an adjustable or variable shade lens. You can find the adjustments on either inside the helmet on the lens or outside on the side of the helmet. Most variable shade lenses are adjusted from shade #9 through #13. It might be unfortunate if you need the shade #13 setting unless you weld at a very high amperage or have very sensitive eyes. You’ll notice that most manufactures advertise the lens switching speed as you shop for an auto-darkening helmet. This number shows how fast the lens can switch from its natural light state which is usually shade #3 or #4 to the darkened shade as the welding starts. 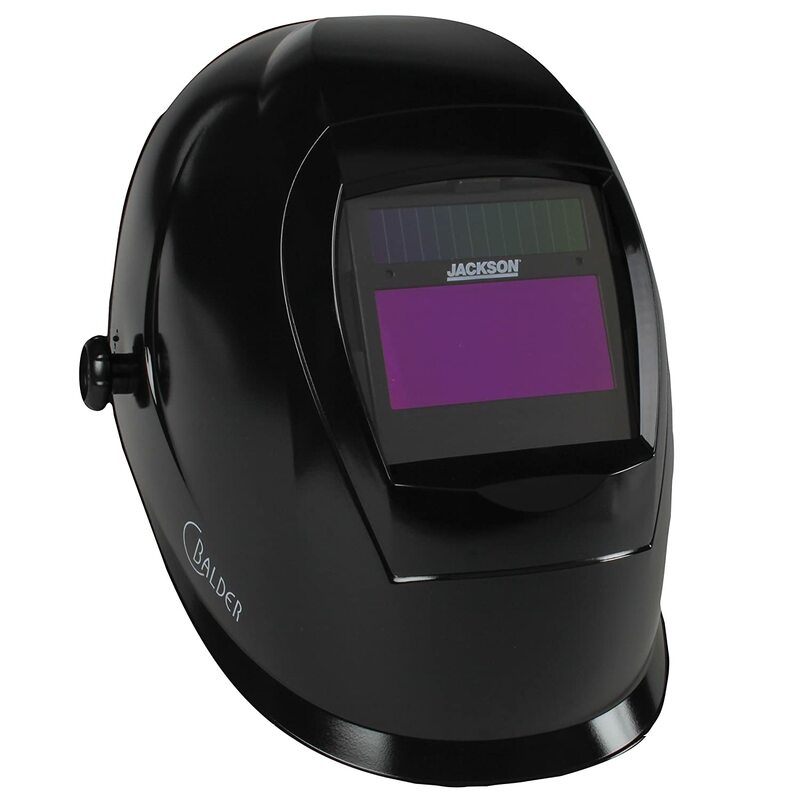 The faster the welder’s eyes are shaded from the high intensity light, the better. Very slow reaction time always causes an eye discomfort that makes one feel like a dry scratchy sensation sometimes baptised as an arc flash. For a second switching speed entry-level lenses often are rated at 1/3,600.Proffessional level and intermediate helmets switch at a speed as high as 1/16,000 of a second or faster. To compare this ratings, divide 1 into 3,600 for decimal equivalent since some manufactures advertise this ratings in decimal. It’s obvious that the faster the switching speed the more expensive the lens and helmet. When you spend the whole day welding with a lens rated at 1/3,600 which is usually considered a slower reaction time, your eyes will obviously feel fatigued at the end of the day and might have the dry, scratchy symptoms of an arc flash as we’d mentioned before. These effects are eliminated with faster switching speeds. It’s expected for both professional level and intermediate level auto-darkening helmets to provide the ability to adjust how much brightness will trigger the lens to darken. When welding at low amperages sensitivity control is very useful, especially with a process such as TIG, when the arc isn’t as bright as it is with other welding processes. The said control enables you to set the period the lens stays dark after the welding arc stops. A short delay helps you to get the job done faster as you reposition for the next weld when tack welding on a large project. When welding at very high amperages to prevent you from looking at the weld zone after the arc extinguishes a longer delay time is very helpful. These features often are controlled by toggle switches for high /low sensitivity and fast/slow delay depending on the manufacturer and price. Professional level, helmets mostly use infinite range dials to deliver greater adjustment capability .Either of these features is not found in any entry level auto darkening helmets typically. A heavier weight helmet maximizes strain on the user’s neck and increases fatigue while decreasing comfort. With time you’ll realise a big difference between a helmet that weighs 1 lb against one that weighs 2 lb . 1lb can become a great weight when working on an all-day project, though it might seem like much for a short welds. If you can remember the old idea of holding a book out at arm’s length, then I’m sure you’ll realise it’s easy for the first few seconds but it seems to weigh a ton after some time. The same applies in a heavy helmet compared to a lighter option; after some time, the greater weight will make you uncomfortable. 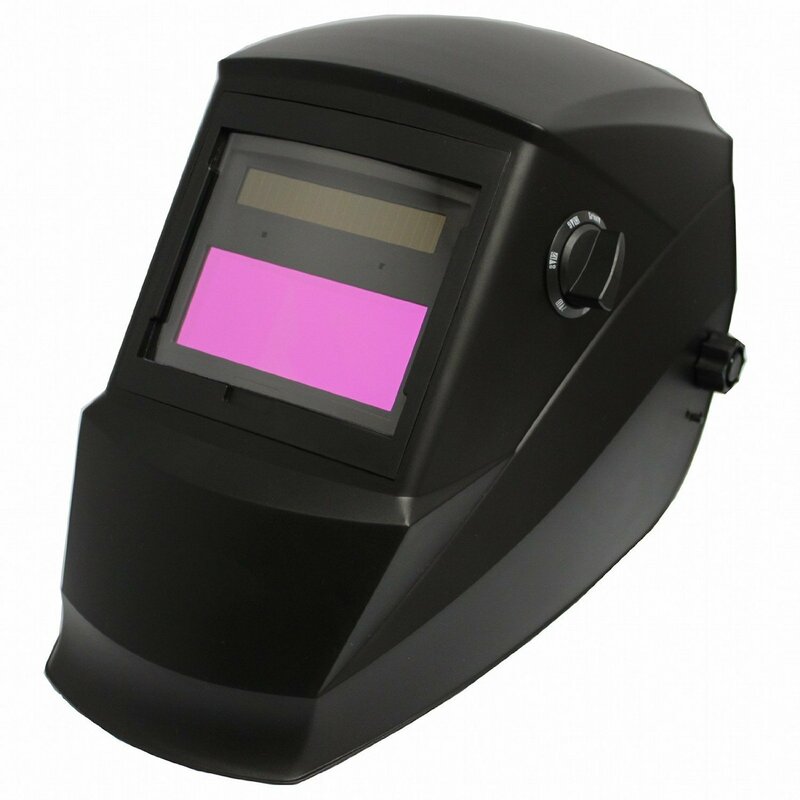 3 Resolving all of these problems by auto darkening welding helmets.